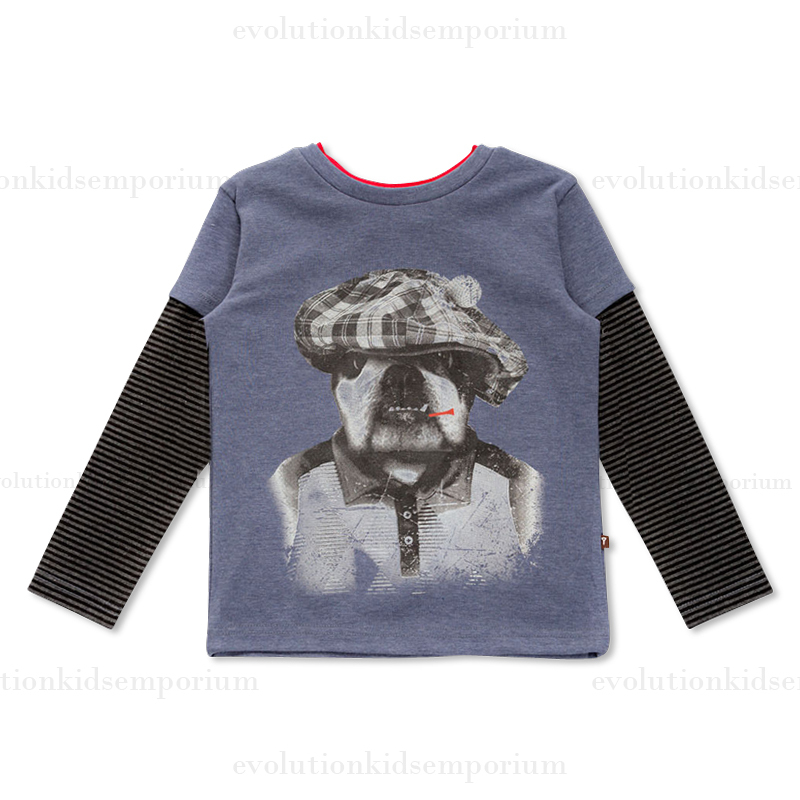 Blue Heather Twofer Bulldog Tee by Fore!! Axel & Hudson - This is on cool bull dog. Striped layering sleeves. Contrast neck trim. Super soft blended fabric.